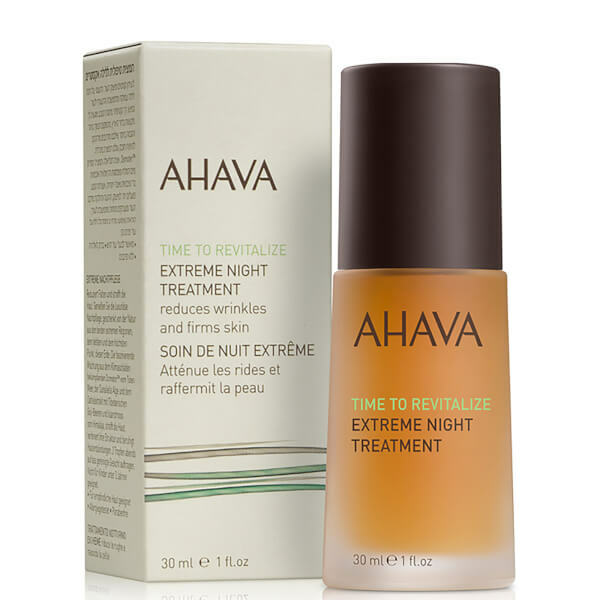 Improve skin tone and texture with AHAVA's Extreme Night Treatment; an innovative formula that utilises natural extracts from the lowest and highest points on earth - the Dead Sea and the Himalayan mountains. Synergising Tibetan Goji Berries, Himalayan Raspberry Root and Cetraria Islandica Lichen (extracts that survive harsh, extreme conditions of the Himalayas), the lightweight, non-greasy treatment delivers anti-ageing and antioxidant properties to promote a nourished, revitalised complexion. The brand's patented blend of minerals (Osmoter™) delivers optimum levels of moisture and hydration, whilst Alpha-Hydroxy Acids support the skin's overnight repair process, revealing a smoother, more refined complexion come morning. 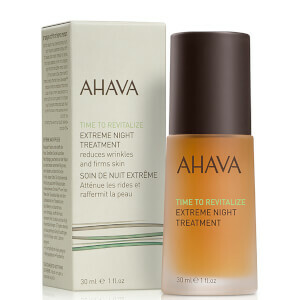 Skin is brighter and younger-looking with minimised wrinkles, improved firmness and renewed radiance.